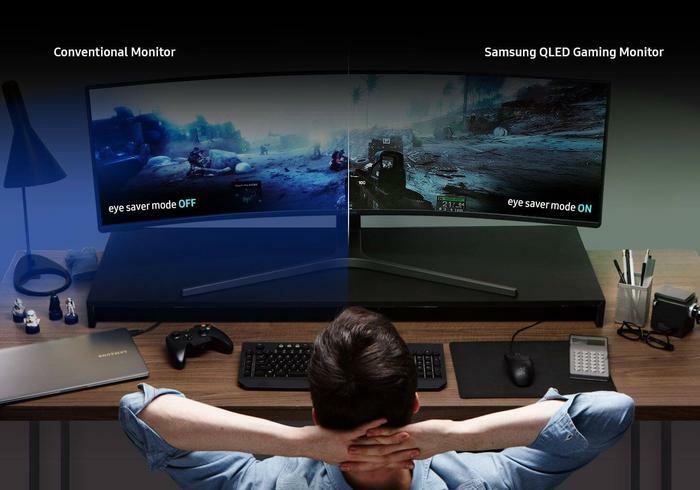 When Samsung first made their renewed push into the world of high-end gaming monitors, I was pretty skeptical. Sure, their QLED display tech (pulled from their home entertainment lineup) is brilliant to behold. However, good gaming tech is a lot more involved than just putting together a spec-sheet. Additionally, as someone who does the bulk of their PC gaming on an ultra-wide monitor, Samsung’s initial rollout of 24-inch and 27-inch displays seemed a little inadequate. Naturally, when the company announced they would supersizing their QLED gaming range with a new 49-inch effort, I was excited. Now, after a few weeks of regular use with the CHG90 QLED gaming monitor, I’m a little more tepid. It’s clear that when it comes to displays, brighter is better. However, having a bigger display doesn’t always come with same gains. Gauge your expectations. The future isn’t quite here yet. 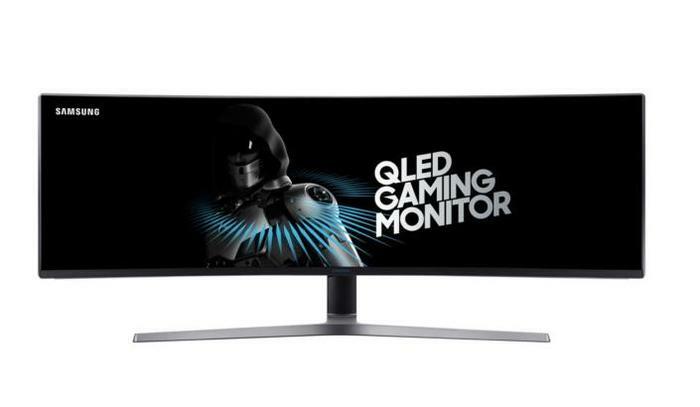 The Samsung CHG90 QLED Gaming monitor is a 49-inch curved VA LCD LED display enhanced by the same Quantum Dots found in the company’s Q7, Q8 and Q9 TVs. It boasts a curvature of 1800R and supports an aspect ratio of up to 32:9. 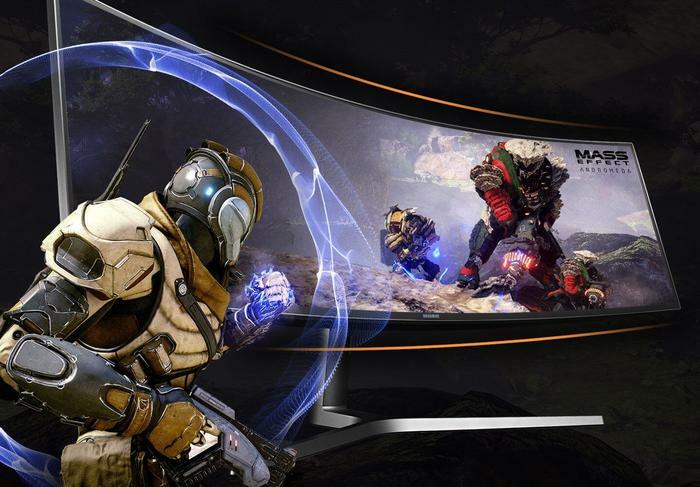 The display supports HDR content (but not 4K) and AMD’s Radeon FreeSync (but not G-Sync). 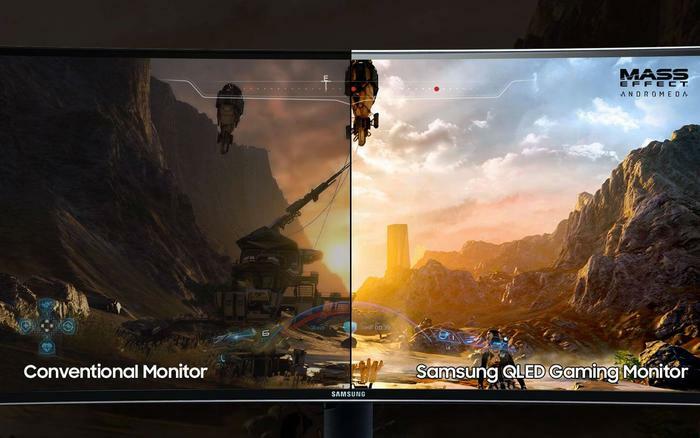 The Samsung CHG90 QLED Gaming monitor is packing a response-time of 1ms, 125% sRGB coverage and a refresh rate of 144Hz. It also comes with a height-adjustable stand and an optional wall-mount. Port-wise, the CHG90 packs a 3.5mm audio port, USB, DisplayPort, MiniDisplay and a pair of HDMI ports. In terms of design, the CHG90 offers up more-or-less the same aesthetic package as its more-modest sized compatriots. Not that this is a bad thing. After all, it’s a gorgeous QLED display that looks as good as it sounds. Colors carry a more-visible pop while details previously relegated to the background fizzle with renewed vigor. Throw on a game capable of making use of the CHG90’s support for high-dynamic range content (HDR) - and it’s a treat. All told, gaming on QLED might not be cheap, but it is definitely appealing. That said, your mileage here is totally going to vary based on your tastes. If you’re not a fan of curved monitors - the CHG90 is unlikely to flip you on the concept. It might be one of the best curved monitors out there but it’s still subject to a lot of the usual drawbacks. Still, in action, there was a lot to like here - or, at least, there was whenever I managed to find and load up a game that actually supported the “ultra-ultra-wide” resolutions and 32:9 aspect ratio made possible by the CHG90. There are a few out there - but a lot of my usual suspects either didn’t support or didn’t properly support it. Recent releases like Wolfenstein: The New Colossus and the visually-arresting Destiny 2 do. However, the game I spend the most time playing online with friends - Overwatch - has the ratio outright disabled - which was a bit of downer. Even if a lot of games support 32:9, the fact that the one I regularly play the most doesn’t is a bit of a drag. Thinking further on it, I think the issue I have with the CHG90 isn’t the experience. Make no mistake, the experience of playing games on this display is awesome - barring the occasional set of black bars. However, the specificity of it all makes it very tricky to endorse without caveats. As far as gaming monitors go, the CHG90 is a pretty expensive one - and it’s by no means the whole package. The 144Hz refresh rate is good but it’s not quite as eSports-ready as what’s on offer from BenQ. Likewise, the absence of 4K hurts the appeal for home entertainment or photography aficionados. Then, there’s the curved qualities of the thing. Still, if those details don’t deter, then this is an awesome monitor to behold. Just make sure you’ve got a desk that’ll be able to house the thing.